This is a very human story with the ability to create three-dimensional, well-rounded characters. Cotillard is the most recognizable to American audiences, but let us not forget Mr. Schoenaerts who is just ridiculously good in the movie. The film is based on a real-life event of an Orca trainer/choreographer having a tragic accident at her workplace resulting in her losing her two legs. However, (and as harsh as that may sound), that detail is almost an after-thought to the overall story. My guess is this is deliberate; a way to avoid making a big deal regarding the whole incident since she wanted to live a normal life. Mainly, Rust and Bone focuses on good-looking, well-built Alain (Schoenaerts) who has recently moved in with his sister to make ends meet and care for his adorable five-year-old son. Upon moving in with his sister, Alain takes a job as a nightclub bouncer where he meets the party-hungry Stephanie (Cotillard). The two form an instant bond and he finds himself the first on her contact list when tragedy strikes. Rather than being caught off-guard by her handicap, Alain forms a friends with benefits relationship with Stephanie and finds that there is bond is strengthening her every day. But Alain is not totally aware yet that his life needs some strengthening as well but that becomes apparent in the gut-wrenching conclusion. 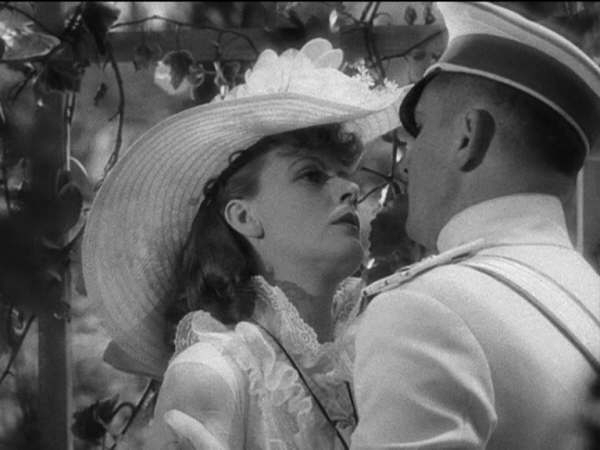 I was really blown away by the grittiness of this film. Violence is used dominantly in the hand-to-hand sequence, but the Orca incident is kind of tame. Perhaps what Audiard is suggesting is that the most damage that can be done is caused by a human hand. But despite the wonderfully gritty imagery, there is also a moment of pure beauty such as the glistening water or the snow-filled trees. 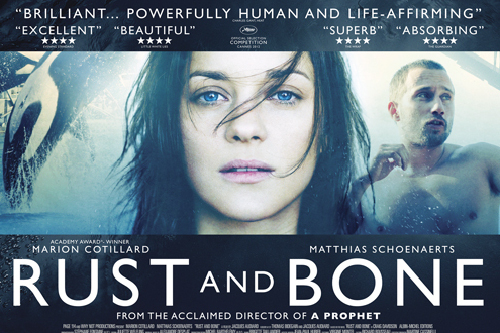 Rust and Bone will punch you right in the gut in the best possible way.